Pain and discomfort in the knees, hips, sacroiliac joints, or low back may be coming from your neck! In his talk, “Saying YES! to your Weirdness”, JP Sears, in his subtle satirical manner, expands upon the idea of how many of us avoid truly being ourselves in order to receive approval. He even refers to being normal as ‘the most pervasive disease’ among people today. He encourages us to embrace and embody our weirdness because, he believes, that our unique weirdness is a bread crumb trail that leads you to you, your authentic self. It always leads us to who we really are. Think about who inspires you. What inspires you about them is the fact that they’re weird. Their weirdness actually delivers them to us. We get exposed to who they are because they’re willing to risk being their unapologetic selves. He believes that we “constipate the expression of our weirdness, and therefore the expression of our true selves because were all approval addicts.” We learn to please people for their approval in childhood because we are searching for our fundamental need for connection. JP encourages us to change our perception about these pains in our lives, and see how to find the blessing within the curse, so we don’t have to avoid it. This, he says, will enable us to embody the ‘YES!’ to our weirdness, and ultimately to ourselves. By consciously making this choice to embrace our weirdness moment-by-moment, we find the cure for normal. Often hailed as a superfood, spinach is a great resource for many beneficial nutrients we need to maintain a healthy body. Not surprisingly, spinach has many benefits for your nervous system. It is rich and vitamins A, C, and K, as well as B-complex vitamins 1,2,3,6, and 9. Magnesium is important in protein synthesis, regulating neural activity and maintaining nerve function as well as regulating blood pressure and blood sugar levels. Thanks to its high content of antioxidants and potassium, spinach offers a variety of neurological benefits, such as preventing neural or cognitive decline and boosting concentration, cognition, and neural activity . While not a 'traditional' Thanksgiving food, adding spinach to your table this year is full of reasons to give thanks. Flu Season: Do I need the Flu Shot? It's that time of year again. The leaves are changing, temperatures are falling, and the Fall season is officially making its way. With the change in seasons, we often see a spike in illnesses as people must adapt to the new environmental conditions. This sets the stage for what has become known as 'Flu Season'. The question comes up every year: Is it worth it? A Cochrane review published in March of 2014 determined that 'Influenza vaccines have a very modest effect in reducing influenza symptoms and working days lost in the general population, including pregnant women.' 1. In many studies, relevant clinical outcomes are ignored in favor of immunogenicity (ie, the ability to elicit an antibody response). "Influenza-like illness" (ie, cold symptoms) is frequently measured instead of serious outcomes, such as pneumonia or death. When these more serious outcomes are examined, there is often a failure to control for healthy user bias—the propensity for healthier people to do such things as receive annual check-ups, eat healthier foods, etc. So, although it's true that people who get flu shots live longer, it may have nothing to do with actually getting the flu shot. Even the CDC agrees. On their website, they state that " The vaccine’s effectiveness also can vary depending on who is being vaccinated. At least two factors play an important role in determining the likelihood that flu vaccine will protect a person from flu illness: 1) characteristics of the person being vaccinated (such as their age and health), and 2) the similarity or “match” between the flu viruses the flu vaccine is designed to protect against and the flu viruses spreading in the community. 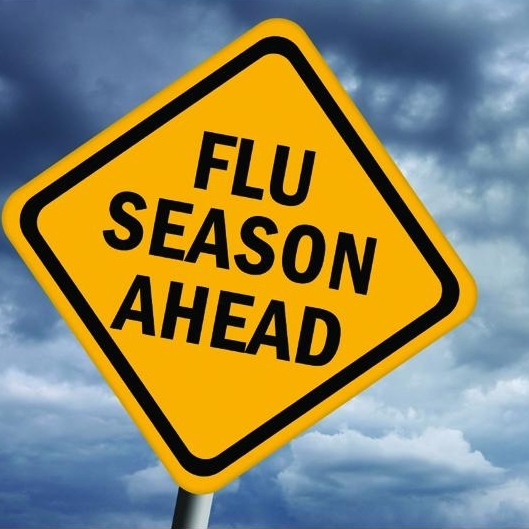 However, even during years when the flu vaccine match is good, the benefits of flu vaccination will vary, depending on various factors like the characteristics of the person being vaccinated, what influenza viruses are circulating that season and even, potentially, which flu vaccine was used. "2. It further states, "Our findings show that according to reliable evidence, the effectiveness of trivalent inactivated influenza vaccines in elderly individuals is modest, irrespective of setting, outcome, population and study design. Our estimates are consistently below those usually quoted for economic modelling or decision making."3. In summation, there may be some positive benefit to receiving the flu shot, mainly to those who are in poor health, but most likely not anywhere near what is being perpetuated through society. 1. Increase your Vitamin D! Vitamin D, specifically D3 (aka cholecalciferol), plays a major role in calcium regulation, metabolism, and immune function. We mainly make it from cholesterol in our bodies through a reaction that depends upon sunlight (hence why we become deficient more in winter). A recent study published this year found that "Daily or weekly supplementation halved the risk of acute respiratory infection in people with the lowest baseline vitamin D levels. However, people with higher baseline vitamin D levels also benefited, although the effect was more modest (10 per cent risk reduction). Overall, the reduction in risk of acute respiratory infection induced by vitamin D was on a par with the protective effect of injectable 'flu vaccine against 'flu-like illnesses."4. Sleep plays a profound effect upon our immune system. One reason our immune system function is so closely tied to our sleep is that certain disease-fighting substances are released or created while we sleep. Our bodies need these hormones, proteins, and chemicals in order to fight off disease and infection. Sleep deprivation, therefore, decreases the availability of these substances leaving us more susceptible to each new virus and bacteria we encounter. 5. Most of the research on exercise and immunity has been done with colds and there's a considerable amount of research showing that regular, moderate exercise enhances the immune system.6. There is a growing body of research to support the positive effect that chiropractic care has upon immune system function.7.8. Between 1918 – 1919, an estimated one-third of the world’s population (~500 million) were infected by what public health researchers now believe was a mixture of H1N1 and swine flu pandemics. This was a major event which gave Chiropractic a major place in healthcare. The Texas Chiropractic Association highlights this in their historical account of the epidemic. In the same epidemic reports show that chiropractors 3,490 cases of influenza with only 7 deaths. But the best part of this is, in Oklahoma there is a clear record showing that chiropractors were called in 233 cases where medical doctors had cared for the patients, and finally gave them up as lost. The chiropractors saved all these lost cases but 25.9. Like all illnesses, prevention is key. What are you doing today to promote your health?